The most complete Instagram Account and Hashtag Analytics. Trusted by over 1,000 users. 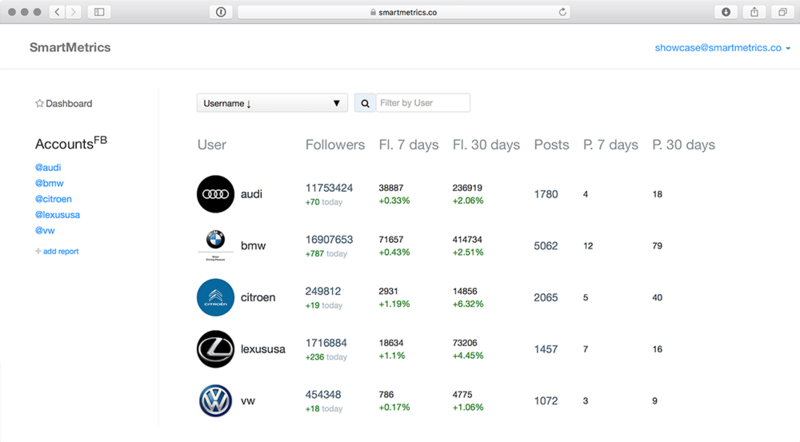 Instagram Accounts and Hashtags Analytics, Instagram performance reports. Discover SmartMetrics key features. Learn about 30+ Instagram metrics for accounts and 20+ metrics for hashtags we collect and analyse for you. 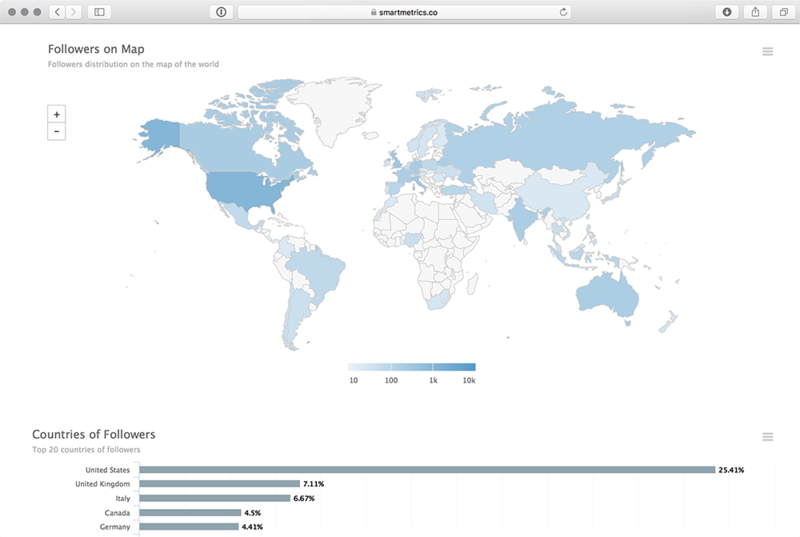 Insights into location of your followers, their Countries and Cities. Complete Demography analytics. Know Gender of Followers. 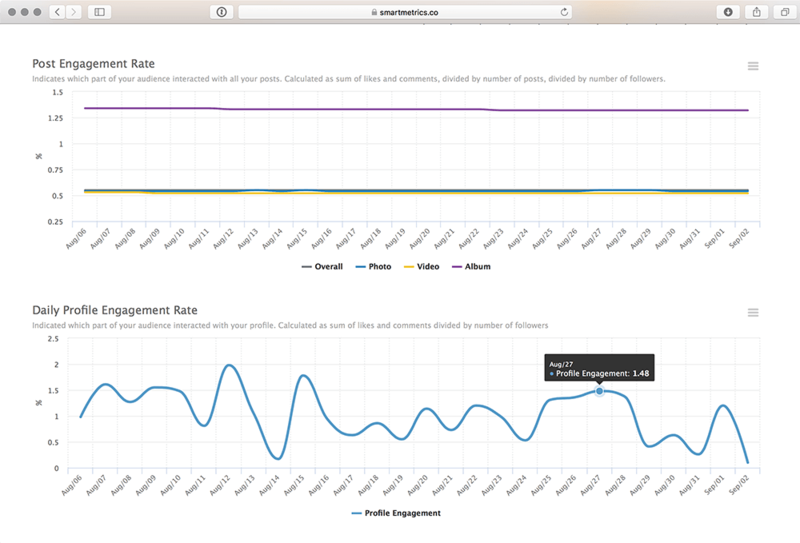 Engagement Rate analytics for your profile, posts and stories. Track and analyze Business profiles of your competitors. Send branded reports to your customers manually or automatically by schedule. We track and analyze your profiles, posts, stories hourly and hashtags daily. We use Instagram Graph Api so your credentials stays safe. We don't ask passwords. Smartmetrics works Online. You do not need to install any app. 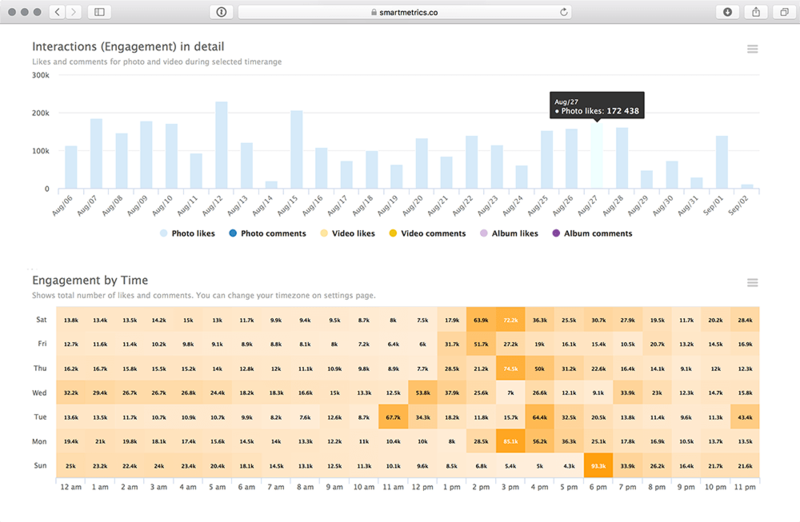 Get insights into changes of key parameters for all your Instagram reports. Number of tracked accounts is limited only by your subscription. Quick overview of followers and post progress for week and month. 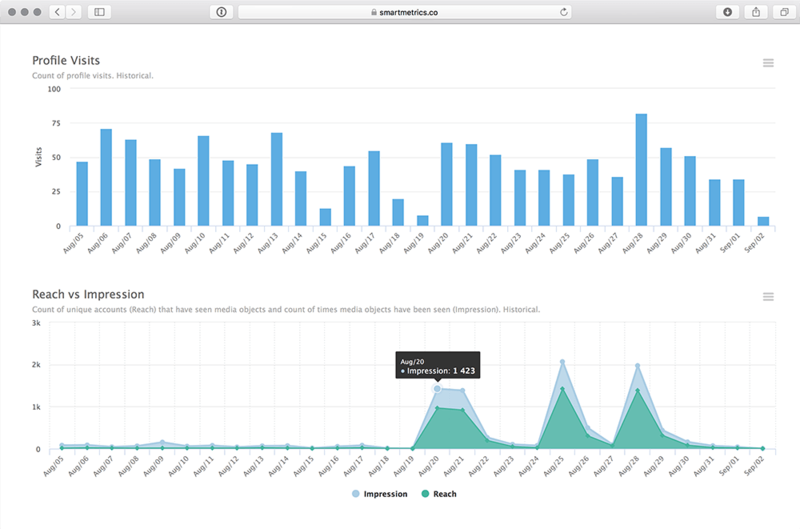 Performance analytics, audience growth visualization and insights into your community. Relative changes in audience for each day. 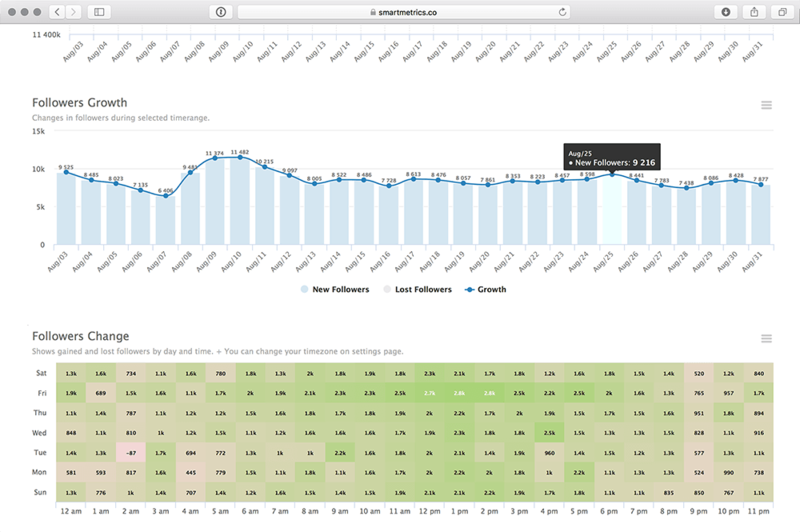 Changes in followers by hours and days of week. Analytics of profile views and conversions into website visits, email, phone calls. Do someone watch my posts several times? How many times my page has been watched? All about places of your followers: countries, cities, changes. What is percentage of followers is from my city? How my followers are distributed across the world? How has presence of my brand been changed in a last month? Everything about interactions with your posts and stories on Instagram. Should I post more photos or video? How many people skip my stories? At what time my audience is the most active? Analytics of your posts and stories quality on Instagram. Do people like my posts and stories? What content is more attractive? Deep statistic is splitted by content type or shown for entire profile. * Hashtag counts as one profile (account). Larger plans are available on pricing page.